The only intention I have is to try all three and decide for myself which one reigns supreme. 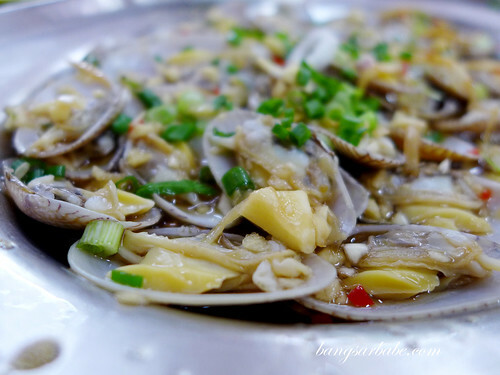 rif and I tried Different Taste and found the claypot glass noodles with crab pretty good. 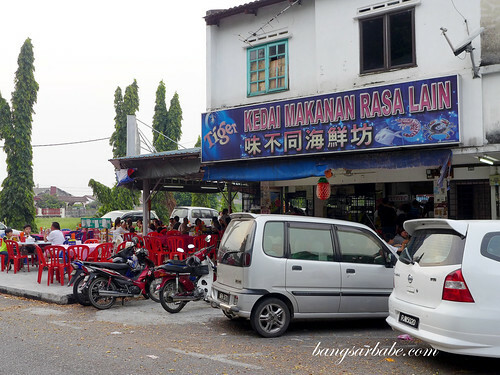 During our visit to Rasa Lain, they ran out of crabs (at 6pm!) 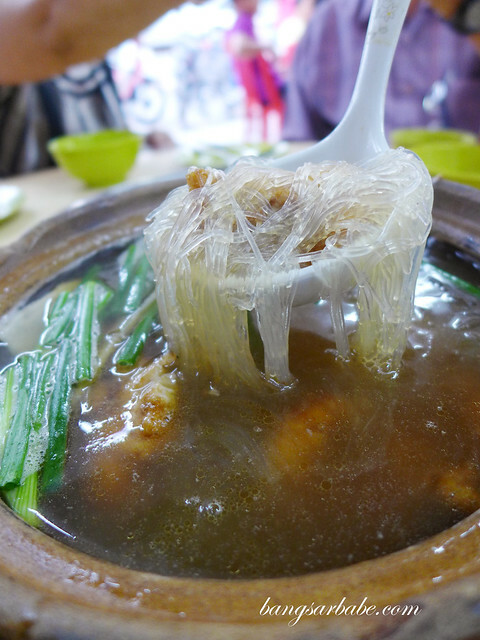 so we settled for the glass noodles with fried fish slices. This was not bad, but not great either. The fish slices didn’t add much flavour or sweetness to the broth. 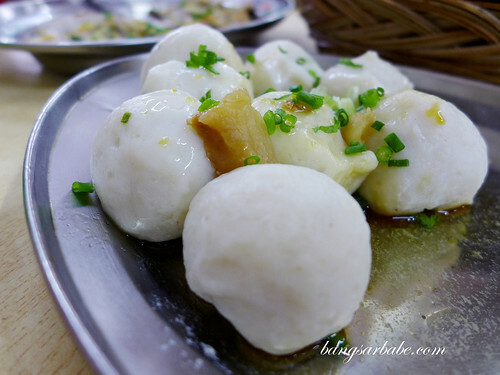 We also ordered the house special fishballs – light and bouncy in texture, and topped with dashes of soy sauce, sesame oil and scallions. I enjoyed the steamed lala better. 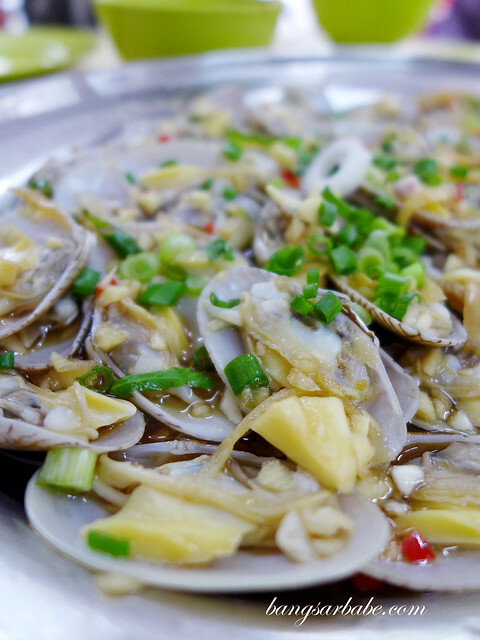 Mid-sized, juicy and fully flavoured by the rice wine and ginger. 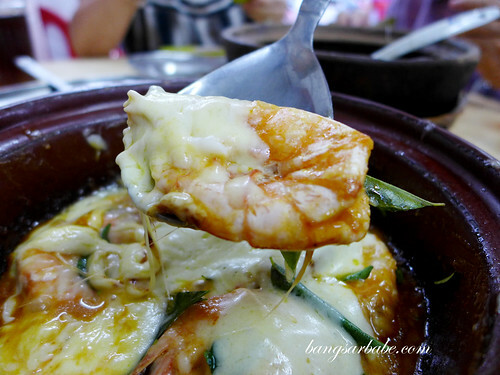 A dear friend Ee highly recommended the cheese prawns, his favourite dish and a must-order whenever he visits Rasa Lain. It was good stuff. 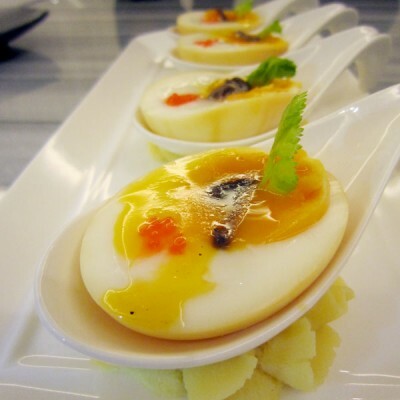 The combination of mozzarella cheese, tangy-based sauce and fresh prawns knocked my socks off. 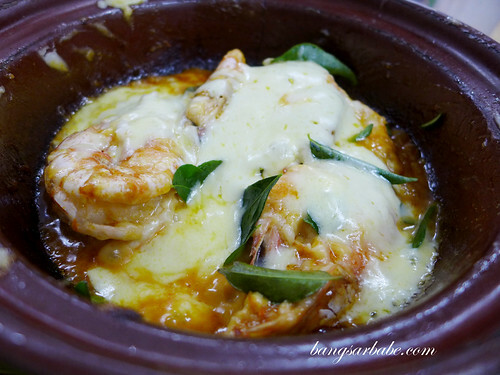 One of the best prawn dishes I’ve eaten. If you asked me, I wouldn’t come back for the glass noodles because the fish version wasn’t much to shout about. But I’d definitely do so for the prawns and lala. Both get sold out quickly, so aim to get there early or call ahead to order. 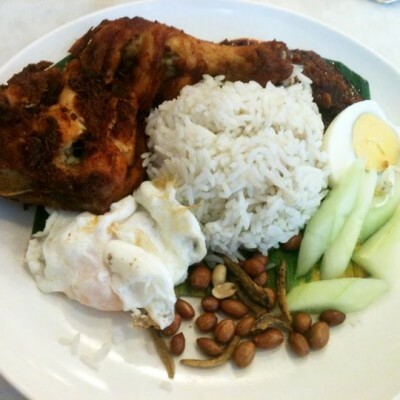 The bill came up to about RM100 for the above; fairly reasonable considering the food we ordered. Verdict: Try the cheese prawns and lala. 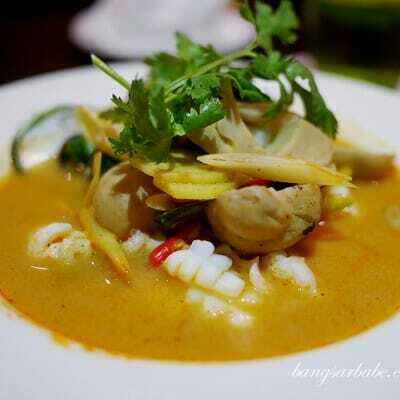 If you want the claypot glass noodles with crab, call ahead to book.